I have three children. When they were each born, I had hand me down clothes from my sister and the majority of them were from OshKosh. She had loved OshKosh and found it to be the best quality for her two boys. We love shopping at OshKosh. The store near us in combined with Carters. The store has wide open aisles, great lighting and is very easy to shop. I love the quality of the OshKosh clothing because I know that it will last wash and wash while still looking amazing. 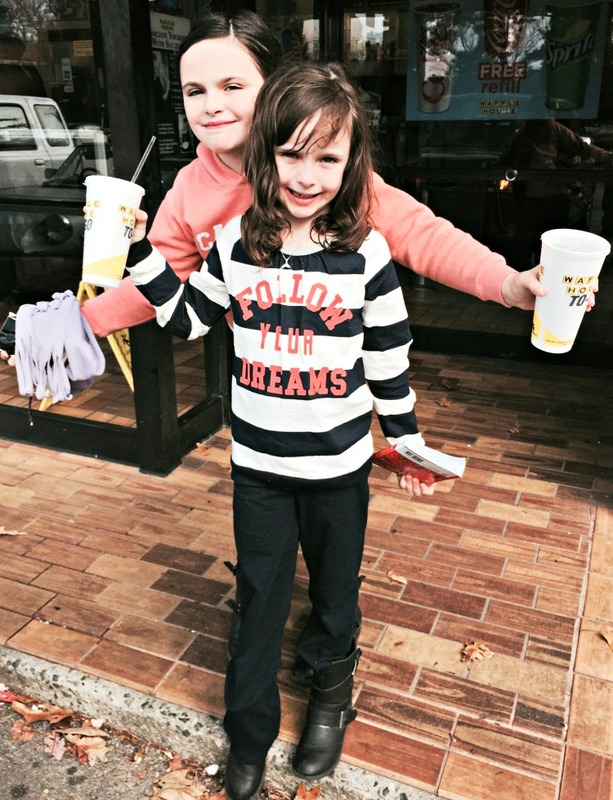 The clothes are also durable and will last no matter my kids have in store for them. My daughter likes OshKosh because she can create her own looks while keeping up with current trends. 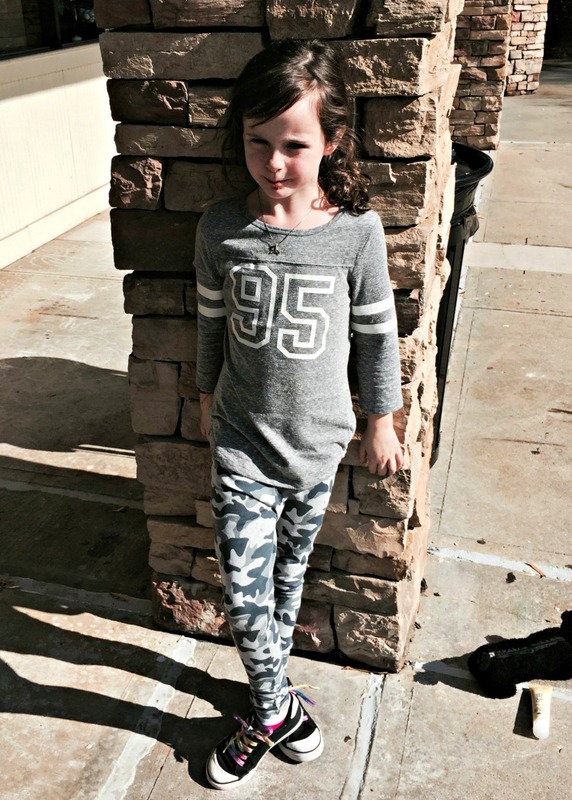 My daughter and I went together and had fun picking out various styles for her to try on. They had some great displays that gave her some inspiration but she didn't go with any specific display and instead came up with her own looks by putting things together that she really liked. Two hours later, we left the store with purchases in hand ready to create some pretty amazing outfits. Oshkosh B’gosh is an iconic brand famous for durable quality and emotional connections across generations. They are committed to offering an authentic brand experience to our customers and partners. 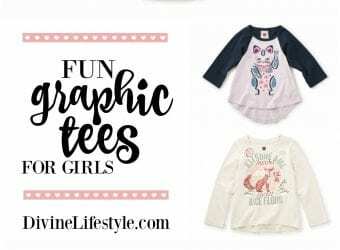 They are partial to optimistic colors, hand-drawn graphics, timeless and trend-relevant styles that are age-appropriate, easy, relatable and real. OshKosh offers stylish clothing grounded in an authentic American heritage and the belief that kids have fun being kids. OshKosh B’gosh wants to help you celebrate the holiday season this year with their #GIVEHAPPY campaign. We know that it’s always better to give than receive, right? #GIVEHAPPY is about celebrating the holidays and celebrating your family. It’s easy to #GIVEHAPPY, and even the smallest acts of kindness can help brighten someone’s day! Now you can grab a coupon to save 25% off at OshKosh. Click the picture above or the link to the left. 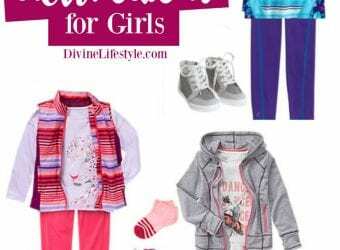 She also picked several winter outfits that she could wear to school every week. Here was her first choice. Look at the great embellishments on the jeans. She loved the details and she loves the Girls Rule shirt because….of course they do! What are some ways you’re planning to #GIVEHAPPY this holiday season? I love Oshkosh. I shop there all the time for my boys!! I loved all of the outfits! Sadly, I don’t have an OshKosh close to me, but I do enjoy shopping online. I love the OshKosh clothes. We recently went there too and got some of the same clothes! Love those picks, great outfits! Thanks for the coupon, i love this brand – great quality!